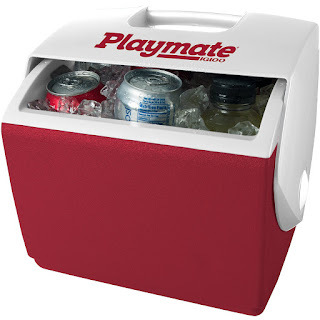 Head over to score this Igloo Playmate Pal 7 Quart Personal Sized Cooler in red for only $10.97 shipped (Retail $22)! These handy coolers feature a tent-shaped locking lid to help prevent spills, a top push-button for easy one-handed opening and a lid that swings open to either side for easy access. They can hold up to 9 cans plus ice and wipe clean so they’re perfect for work lunches, a day at the beach or the ball field and more!